"She was screaming 'Everyone pray, everyone pray. Oh my God, my baby, someone threw him over the edge,'" witness Brian Johnson said of Landen's mother to WCCO-TV. "Landen has a very long road to recovery ahead of him," the page noted. "He has many surgeries ahead in his life to try to get back to a normal life for a young, vibrant boy." "We are all completely overwhelmed with the love and support that has come our way during this tragic time," wrote the page's organizer. After allegedly throwing Landen off the balcony, the suspect, identified by police as Emmanuel Aranda, fled the scene. Police arrested him at the mall's light rail train station. 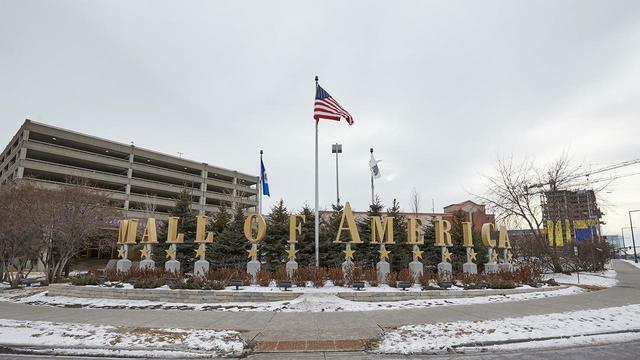 "This was a senseless act and words cannot truly express our profound shock and sadness," the Mall of America said in a statement on Friday. "Our immediate and only concern is for the well-being of the family and the child, as well as for any individuals who may have witnessed the incident." Aranda apparently has a history of troubling behavior at the mall, which is the U.S.'s largest, drawing 40 million shoppers annually. Landen was taken to Children's Hospital in critical condition. "He had a peaceful sleep and is still continuing to fight his courageous battle, he's a strong survivor!" the GoFundMe page's organizer wrote Sunday.